A couple of weeks ago we welcomed our first class for Zumbini. What's that, you ask? 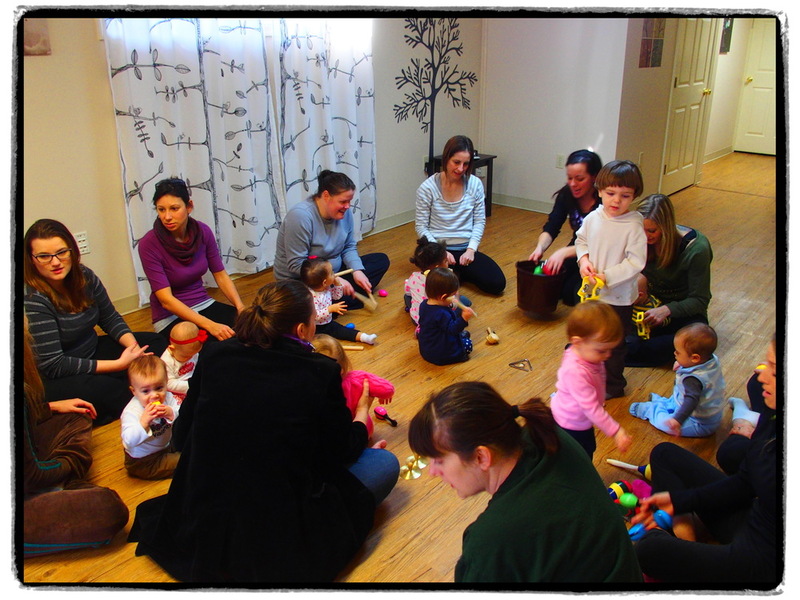 It's an interactive class for infants and their parents that combines upbeat music, dancing and tactile play for the little ones. We welcomed 21 families on that first day with babes ranging from 6 weeks to 3 years old. Nikki - a local and respected Zumba instructor who recently expanded her portfolio to include Zumbini, the newest rage in mom-and-me classes - opens and closes each class with song that names each child. You should see some of their faces light up when she gets to them and they hear their own names! It was 45 minutes of non-stop fun that included everyone getting a turn with drums and maracas and colorful scarves. Check out some of the photos below. Interested in joining the fun? Check out our Events page for upcoming classes. Click on the pictures to scroll through.